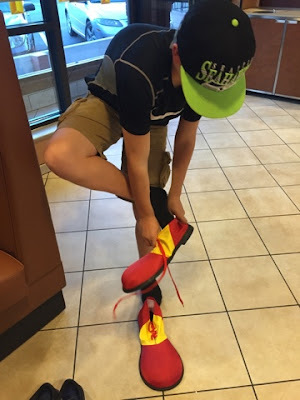 Certifications, Red Shoe Run and WOW! Just WOW. Hey BamagirlRUNS....what's been going on with you?? So last week was a VERY interesting week for me. how much I will take away from these women after 10 sessions. I was scared to death to teach this class and now I'm totally at ease. Funny how things work like this. 2. 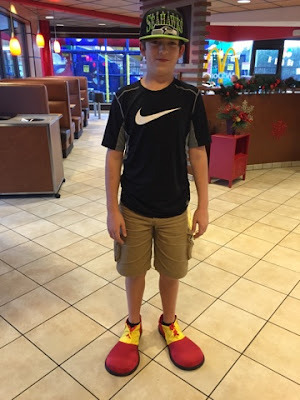 I have completed The Red Shoe Run. 3. Last Thursday, I was Silver Sneaker Certified! What?? Never in one million years did I think that I would ever want to teach that class. I love working with Seniors, but wow. just wow. I'm actually nervous now. I know that I'm going to LOVE this class. I just don't know why it's taken me so long to get the nerve up to teach it. 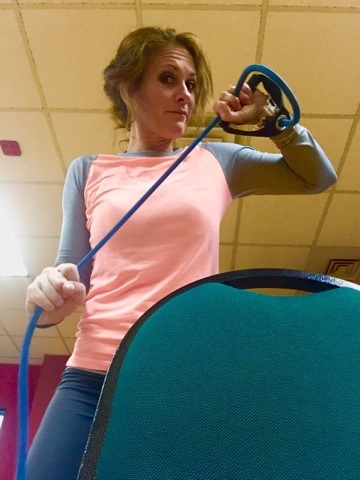 This is me working out for about 8 hours behind a chair, in a chair, on the side of a chair. Silver Sneakers....I'm ready for you!! I had an AMAZING meeting this week that I'm chomping at the bit to share my news but can't just yet!! Fun running adventures are in my near future and I'm so so sooooo excited! You had me at Funky Pants. However, I am LOVING wearing my funky pants. I wore my new Dona Jo workout pants to the Walt Disney World 5K during Marathon Weekend and I couldn't have been any happier with my wardrobe selection. It was a cool morning and these pants were PERFECT. I didn't need anything thermal or insulated but I liked having the coverage on my legs. I think I must have received 500 compliments on my pants. Seriously, the bright pattern was just fun. I like fun! First Leg of the Walt Disney World Dopey Challenge....Walt Disney World 5K. After a few corresponding emails with Dona Jo, they were so gracious to create a special discount code for me to share with my friends and readers. How cool is that?? 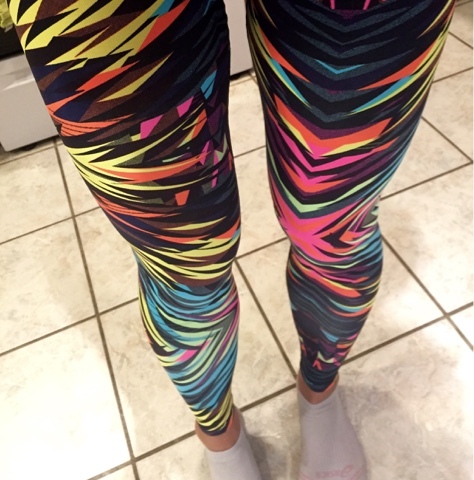 I quickly ordered my second pair of leggings (because I loved the first pair so much) and will wear these fabulous leggings as I run, in yoga class, while I teach my classes or when I'm out running errands. They are just too fabulous to keep in a drawer. This is the number one question that I have received about these leggings. I think that they are SUPER SOFT and are stretchy enough to cover multiple sizes. I ordered the size 1 (0-8). I think that they fit true to size and even after running a few miles in them, they did not sag. Major bonus points from me on that one. #SaggyPantsAreNoBueno. 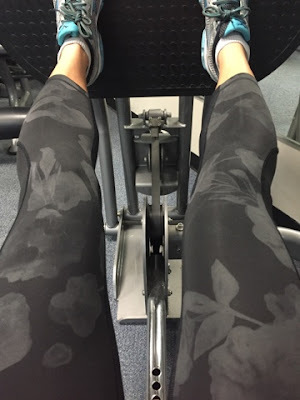 **I have only tried out the leggings so I cannot speak for the sports bras, tanks, shorts or skirts. So as of tonight, I'm 24 days into 2016 and I'm doing OKAY on some of the resolution-ish type promises that I've made. I'm wearing and LOVING my funky pants. I'm still working on my one-year goal. I'm making great progress with that one. I have 341 more days to make it happen. ;) I am focusing on what I need to focus on. 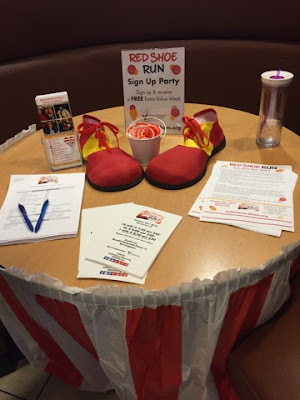 I was beyond thrilled when McDonalds and Ronald McDonald House Charities of Alabama reached out to me and asked if I would be interested in helping out with The Red Shoe Run in Homewood, Alabama! Would I??? Of course I would!! 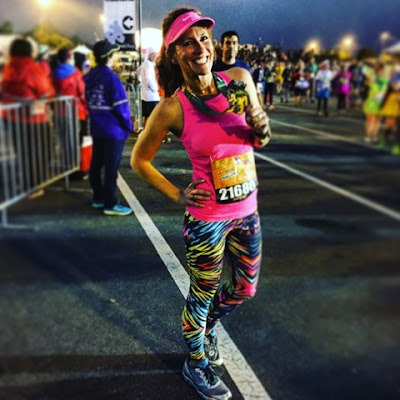 This race offers a one mile fun run, a 5k and 10-mile distance. There is something for everyone!! I've had friends with very sick children who have stayed at the Ronald McDonald House so I knew this was a FABULOUS charity to support. Plus, who doesn't like McDonalds?? I don't know of a soul who could really say that. 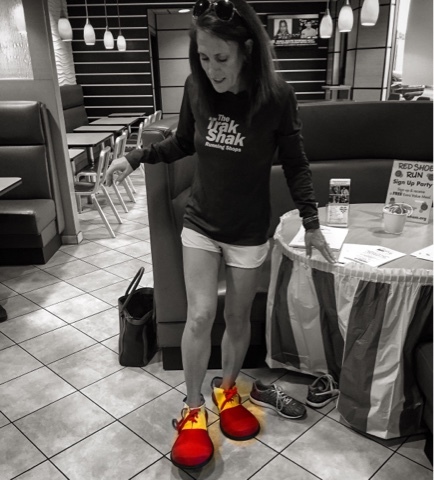 All I knew before I started this adventure was that I was going to have some pretty big red shoes to fill. #SeeWhatIDidThere? Not only did I register for the race but I became a Team Captain! 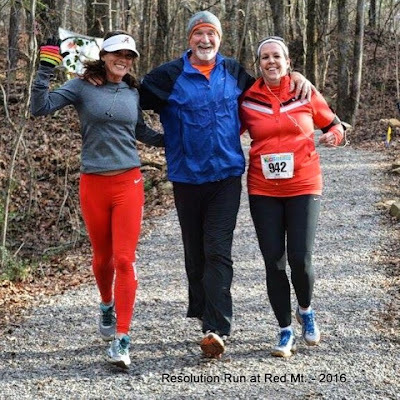 I'm going to encourage all of my local running friends to join my team (Team BamagirlRUNS) and come have some fun with me on January 23rd at the Red Shoe Run! As a Team Captain, I will be in charge of picking up my teams' race packets, raising funds for Ronald McDonald House Charities of Alabama and attending a social. At the social, we will take a tour of the Ronald McDonald House, enjoy a dinner provided by McDonald's, game some race day information, pick up my team packets early and receive a team Captain t-shirt!! I'm so excied about this!! Anyone who knows me in real life knows that after I run, I freeze. I mean, I FREEZE. Shaking like a leaf and can't hold a cup kind of freezing. It could be 85 degrees outside and my body temperature dips waaaaay down. I stop after every race or workout for coffee somewhere. I'm not gonna lie when I say that normally, it's either a local coffee shop, O'henry's, with my running group or it's Starbucks if I'm on the go. Well. 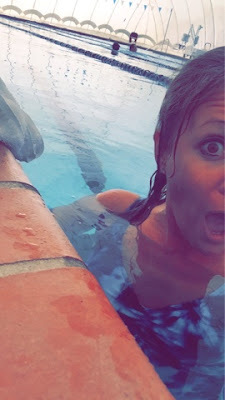 2016 is a brand new year and I'm trying brand new things! 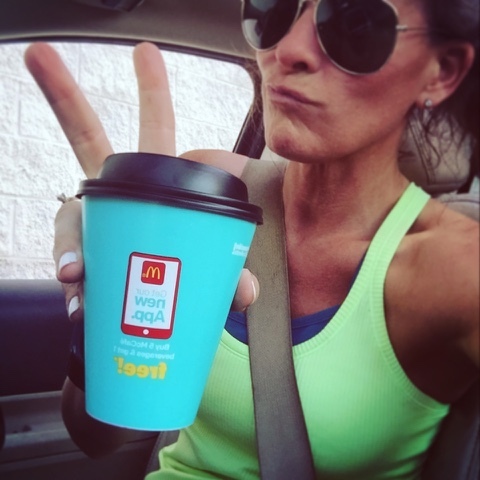 I'm swapping over my coffee habits to McDonalds coffee before and after my workouts. This is working for me. 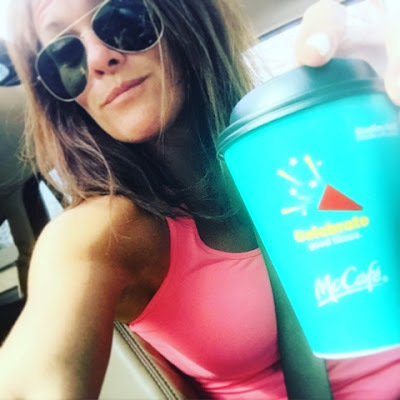 I like McDonalds coffee. It's inexpensive compared to other coffees that I have been drinking. I like the fact that I can work with a Company that supports a FANTASTIC Cause and I love their products. It's the perfect combo for me! Another thing that I'm learning through this process is that McDonalds has changed up their menu a little bit. They are really focusing on healthy menu options. I'm a HUGE fan of that! !﻿﻿﻿ I typically don't eat a whole lot of fast food just because I struggle with eating junk food. The more I learn about the new menu, the more impressed I am. Bring on the salads, yogurts and Artisan Chicken Sandwiches! Happy Running, Happy Coffee and Happy Red Shoe Shopping! 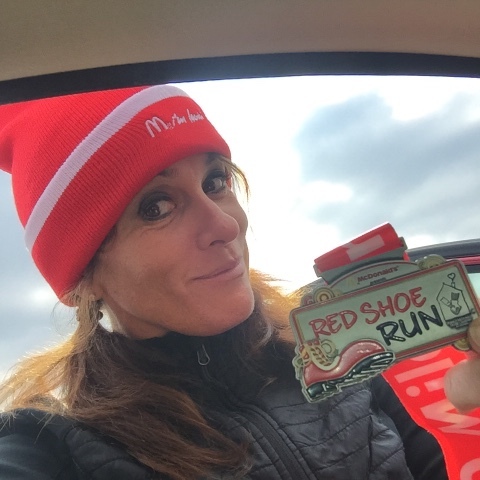 For more information on The Red Shoe Run, please visit www.redshoerun-bham.org. Use Code BAMAGIRLRUNS and save $5 when you join my team! Side note: I had a few people ask me after I posted this pic on Instagram where to get my Pink Paceband....go to www.Bamagirlruns.pacebands.com if you wanna snag one up for your self! I wear mine all of the time! 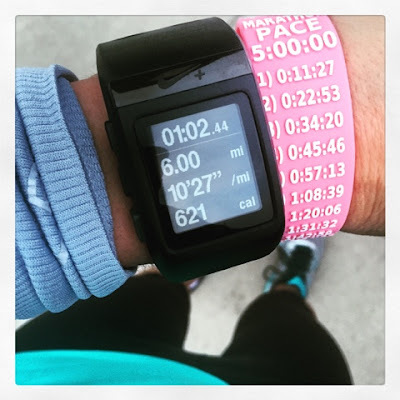 It's nice to be able to look down at your arm and see where you need to be in order to finish within a certain time without having to do the mental math while running. They are available in all distances, lots of colors and are fairly inexpensive. Check it out! I have failed miserably at the whole Facebook thing. Well sort of. I didn't delete my account and I have posted pics from an Alabama Basketball game and my run this morning...BUT I have not camped out all day on the newsfeed looking at other folks' shenanigans. That's really the goal. QUIT looking at the newsfeed all day. I'll keep working on this. Another thing that I have failed miserably at is the whole concept of saving the "run" portion of my Virtual Ironman Challenge for last. 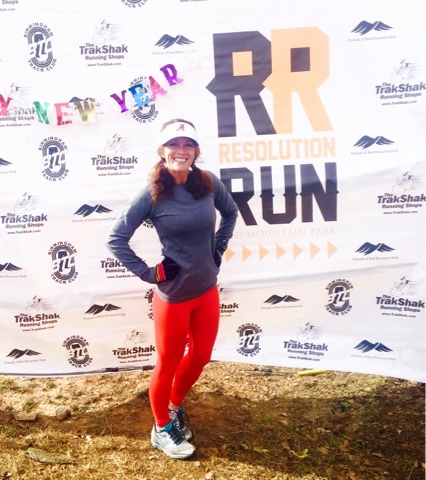 I ran 6 miles yesterday and ran a few trail miles this morning at Resolution Run. Oh well, tomorrow is another day afterall. 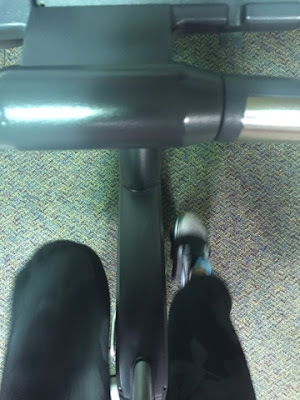 I'm heading to the gym after church to swim and bike for a few hours. I still can't even believe that those words are coming out of my mouth. Running with friends and new Funky Pants is always FUN!! 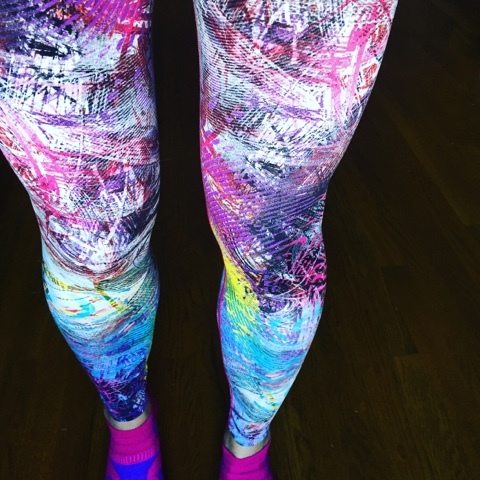 Happy Running, Happy Swimming, Happy Biking, Happy Packing and Happy Funky Pants!! This is me. Just doing my thing. I absolutely HATE the word "resolution" and I feel pretty confident that I'm not alone in this. That word freaks me out. Really. Don't I do things good enough already?? Sure, there are things that I could work on. Sure there are things that definitely need my attention. Sure there are things that I need do to reach new goals. But WOW. Resolution?? That's like saying I really just need to be fixed. Like I need to resolve a problem. Improved, sure. But fixed?? I refuse to accept that. I don't like when other people try to "fix" me either. I shut down on that. I like using "Challenge" because I feel like this is more of a positive word. I don't deal well with negativity. I'm a PRO at blocking all of my negative feelings completely out. I am that person....out of sight/out of mind. If it bothers me, I usually have a good cry about it and then throw it in the back of my mind and then I move on. By myself. I have already cried twice this morning. I'm bothered, I'm full of hurt feelings, I'm refreshed, I'm challenged. I'm ALIVE. Check it out, I'm still breathing. (Hehe, see what I did there? Music Junkies will get that last one. ;) Again, I don't deal well with feeling like I need to be "fixed". I'm stubborn and I'm convinced that I can "fix" myself. I think this is the reason why I'm ALWAYS up for a challenge. I'm ALWAYS up for a new adventure. And I'm ALWAYS up for something that will make me happy. I NEED Happy. So my boss unexpectedly threw it out there the other day that he wanted all of the employees at my gym to compete against each other in a Virtual Iron Man Challenge over the month of January. At first, I thought this was the most absurd thing that I had ever heard of. I had sworn that I wouldn't be one of those runners that accomplishes just about everything that they could do in the running community and then jump ship over to the triathlon world. Yeah, just no. I don't want to be THAT girl. However, midway through the year in 2015, I didn't love the idea of personal training and now I LOVE being a personal trainer. I didn't love the idea of being in front of a group and having zillions of eyes on me as I workout. Now, I LOVE being a group exercise fitness instructor. I get up on that stage and I'm a completely different person. There really are 50 shades of Kristin, I tell ya! I have learned to LOVE last year in ways that I NEVER knew that I could. But......Love also rattles my cage. So this challenge will do just that. Challenge ME. And I love that. And I'm rattled. This is when I rise up. In more ridiculous ways to look at things...I bought a snazzy one-piece bathing suit with a cute ruffle on the boo-tay. Jussssssttt kidding, It's not very snazzy at all. It was all i could find at Target on clearance because I'm too cheap to spend any money on that kind of stuff. I have matching goggles so that's kind of fun. Priorities, right?!? Please let me love my wet curly hair. I'm dying it a new color today. Maybe that will help. 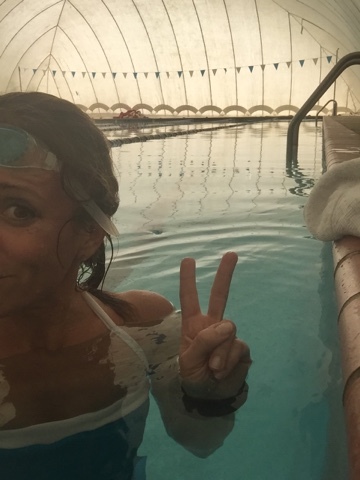 I will swim all 92 laps (2.4 miles). I will bike all 118 miles and then I'll knockout out the 26.2 mile run...saving the best for last. Even more ridiculous, I weighed in on New Year's Eve at 136.5 pounds so I'm going to try NOT to lose anymore weight. Anything less than 135 and I start looking shriveled up. 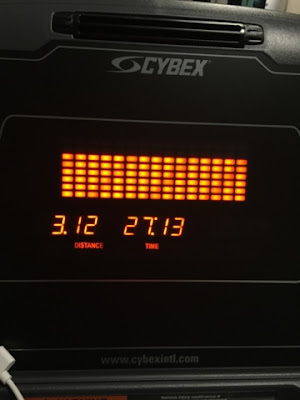 I'm also running the Dopey Challenge (48.6) miles in just a few short days so this is REALLY going to be an all-out balls to the wall kind of month. Not bragging about weight loss at ALL but skinny folks have their issues too. Some days, I REALLY struggle to eat. I REALLY struggle to keep weight on. I REALLY struggle to find anything positive about Kristin. When I'm stressed, I'm the opposite of most of the world, I don't eat. Probably the reason why I've lost a ton of weight in 2015. I should write a blog post about it all one day. I joke about writing a book one day. Really, it's not a joke. I should do it. So with all of the craziness aside, I'm excited about my new virtual Iron Man Challenge. I'm excited to re-focus my energies in 2016 on people who care about ME and who I care about. I've decided to concentrate on my blog and back off from unnecessary social media. I've said it before and I'll say it again today....Facebook is on my nerves so I'm taking a bit of a break from it. I'll still keep up with some of my facebook groups and my BamagirlRUNS page but other than that, my feelings have been hurt by Facebook posts and I need to take a break. I read waaaaaaayyyyy too much into some things and I've realized that a huge source of frustrations have come from that. Why do that to myself??? I'm diving in to BamagirlRUNS this year. 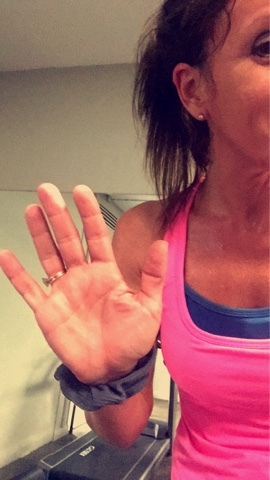 Let the crazy workouts begin and time to kiss un-productivity good bye! I wanted the last workout of 2015 to be representative of how I wanted my 2016 to begin. #WellBalanced. I wanted to do it all. 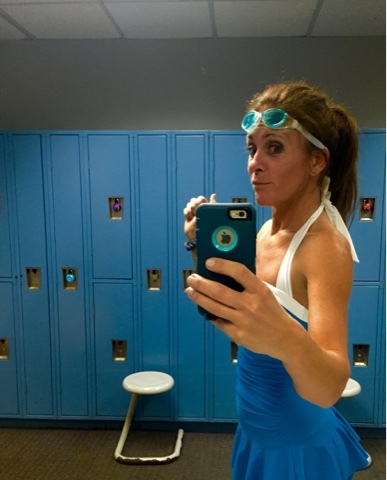 I wanted to run, bike, swim, lift, stretch and relax. I did all of that and I loved it. 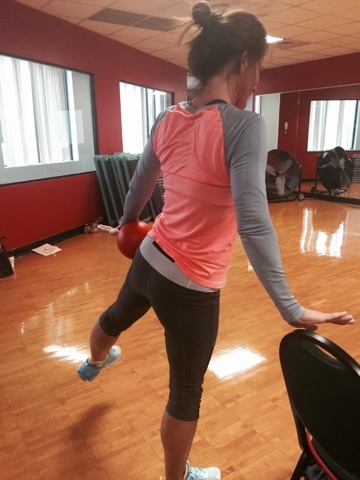 I didn't necessarily love all of the exercises but I love that I pushed myself. I gave it 110% and I received 110% from ME. That's what I want. I expect the best from me in 2016 and I'm gonna get it! 2016 is going to be fun. 2016 is going to be different. 2016 is going to be challenging. I've set some personal goals that I've given myself a one-year time frame to reach. I won't disclose those to anyone. I'm keeping those goals under lock and key and will be unlocking them one by one. 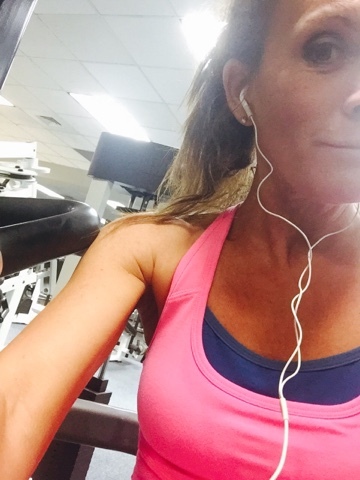 My new challenge starts TODAY, January 1st 2016. I'm excited. I'm nervous. I'm rattled. I'm READY.